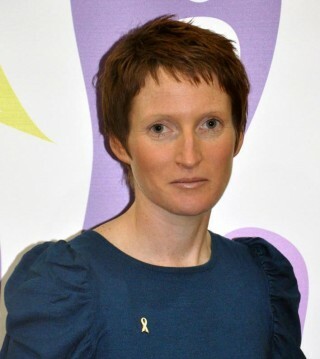 Rhian Bowen-Davies is the National Adviser for Violence against Women, Other forms of Gender based violence, Domestic Abuse, and Sexual Violence. The post of National Adviser is unique; the first one of it’s kind in the UK, and was created as part of the new legislation implemented through The Violence against Women, Domestic Abuse and Sexual Violence (Wales) Act 2015. The Act sets in place the legislative framework to provide a strategic focus, and ensure consistent consideration of preventive, protective and supportive mechanisms in the delivery of services, as well as ensuring an improved public sector response to gender-based violence, domestic abuse and sexual violence. 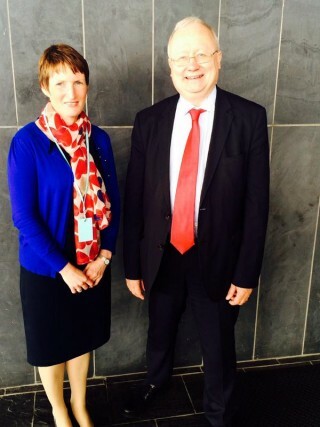 In her role as National Adviser, Rhian will advise and support Welsh Ministers to pursue the purpose of the Act and provide assistance to achieve strategic priorities. In this capacity, Rhian will work with public services and Voluntary sector across Wales to ensure best practice and drive forward improvements. Rhian will work to improve consistency and quality of service provision ensuring that all individuals and families can access information and support. Prior to her role as National Adviser, Rhian worked as a police officer before qualifying as an Independent Domestic Violence Advocate. Following this, Rhian moved into the voluntary sector where she became the manager of Neath Women’s Aid in 2008. In 2012, Rhian led the merger of Neath Women’s Aid and Lliw Valley Women’s Aid creating Calan DVS, an organisation providing specialist support and interventions for individuals and families experiencing domestic violence and abuse. As Chief Executive of Calan DVS, Rhian led a further two mergers with Brecknock Women’s Aid and Bridgend Women’s Aid to extend Calan’s services to the South Powys and Bridgend areas. Rhian also secured £2 million of Big Lottery funding for Calan DVS to launch BRAVE – a ground breaking five year project developing innovative support services for children and young people exposed to domestic violence and abuse. Following her appointment as National Adviser in September 2015, Rhian hopes to build on existing relationships and links whilst identifying new opportunities in order to make a real difference here in Wales.